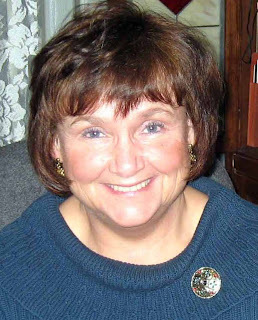 At last count, best-selling author Loree Lough had 74 books, 63 short stories, and over 2,500 articles in print. Dubbed by reviewers “the writer whose stories touch hearts and change lives”, she has earned dozens of “Readers’ Choice” and industry awards. Her 2009 “Love Finds You” titles and Be Still…and Let Your Nail Polish Dry! were recently joined by Prevailing Love and Tales of the Heart (Whitaker). 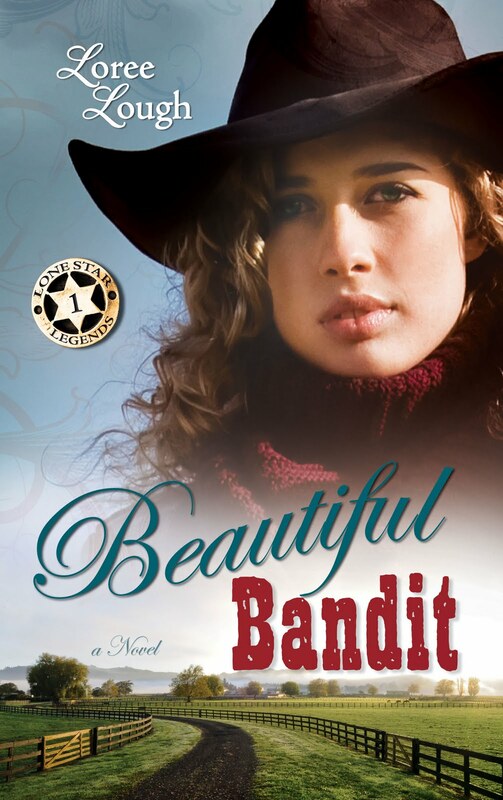 Beautiful Bandit, #1 in Loree’s “Lone Star Legends” series (Whitaker) will hit bookstore shelves this summer, while the release of From Ashes to Honor (#1 in her “First Responders” series from Abingdon) will coordinate with the 10th anniversary of 9/11. Her third “Love Finds You” title is slated for release in June, 2011, and re-issues of Love Inspired reader favorites (from Loree’s “Accidental”, “Turning Points”, and “Suddenly” series) will become available fall, 2010 through spring, 2012. Loree and her husband split their time between a little house in the Baltimore suburbs and a really little cabin in the Allegheny Mountains, where they cater to a formerly-abused Pointer whose numerous vet visits inspired the nickname ‘Cash’. 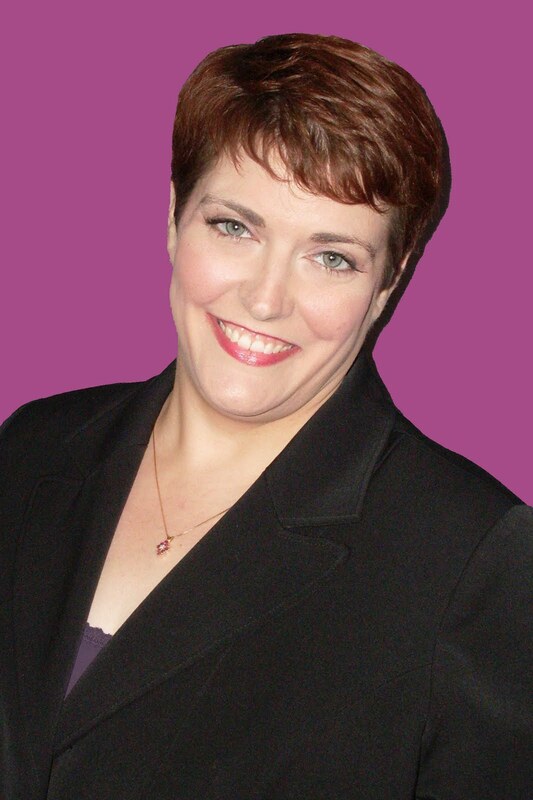 She loves to hear from her readers and personally answers every letter sent to http://www.loreelough.com. Welcome, Loree. God has really been moving in your writing life. What do you see on the horizon? As for the horizon? Well—God willing—more of the same! Every time I feel overwhelmed by the stresses of research and interviews, plotting and pacing (and all the other fundamentals that go into a reader-friendly novel), I focus on the thousands of letters I’ve received from women, men, and even kids, telling me how one of my books impacted their lives. Without exception, these reader-friends tell me how an element of a particular story helped them, changed them, reminded them that God works in amazing and mysterious ways. It’s energizing, knowing that He has chosen me help Him reach those who otherwise might not hear His word (or a specific aspect of it)! Thank you, Loree. It's always a blessing to do what God calls us to do. Tell us a little about your family. After a whirlwind courtship of almost nine months, my sweet hubby and I were married—in 1972. Together, we created a happy, loving family that thrived and grew, and at last count, there were 7 grandkids at the Thanksgiving table! They really can fill the hous with love and noise, can't they? 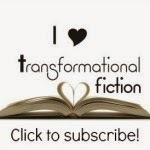 Has your writing changed your reading habits? If so, how? Oh, by all means! So much of what I read these days consists of research materials, and leaves very little time for “pleasure reading.” When I do pick up a novel, it’s usually one of my writer pals’ books. I’m a firm believer in supporting other authors, so judging contests and writing endorsements is a routine part of my writing life. I’m literally hours from turning in the second book in the Lone Star Legends series (Whitaker), Maverick Heart. Once that’s in-house, I’ll get busy on the first book in my First Responders series (Abingdon), From Ashes to Honor, which will release to help commemorate the 10th anniversary of 9/11. I can hardly wait for that book, too. We must feature it here. What outside interests do you have? I love, love, love my grandkids, so I spend as much time as I can with them. My hubby and I have a little cabin in the Allegheny Mountains, and we’re up there as often as possible, hiking and soaking up the views. I sketch and paint, fiddle with my roses (outside) and orchids (inside), and I love to cook and bake (as evidenced by my constantly-expanding waistline!). Every now and then—usually at the request of my grandkids—I’ll drag out the old guitar and croon a tune or two. Thomas Jefferson, no question about it! The man was brilliant, insightful, provocative, and a devout Christian. But you know…I doubt one evening would be enough time for me to ask him everything pinging around in my head! I know what you mean. I'd love to talk to him, too. What is the one thing you wish you had known before you started writing novels? That, like the military, every facet of the industry operates on a “Hurry up…and wait!” basis. Since childhood, He’s been working on helping me develop patience…mostly, with myself. 1. Read, read, read. Then, write, write, write. That old adage we heard as kids, “Practice makes perfect?” Well, it’s true! 2. Learn and understand The Rules, so that when you break them (and you will! ), you’ll do it in the “write” way. 3. The most important person in the writing process is your reader. Yes, you’ll need to please your editor, agent, critique partner(s), and self. But when all’s said and done, it’s all about the reader. All about the reader! Beautiful Bandit, the first in the Lone Star Legends series, is set in Eagle Pass, Texas, in the year 1888. It’s the story of a young woman—kidnapped and used as a “front” during a brazen and deadly bank heist—who must outrun the notorious outlaw and the Texas Rangers. During her arduous trek to Mexico, it’s her good luck to run into a handsome cowboy. It’s his bad luck that the secretive young beauty who calls herself Dinah is a “danger magnet.” When he brings her home to recuperate from her injuries, she lures the vicious killer right to his door. As the pair learns about faith, trust and forgiveness, God teaches them a lesson about love, as well. I was privileged to read this bookin manuscript form, and it's marvelous. Please give us the first page of the book. The hot, sticky air in the banker’s cluttered office made it hard to breathe. Josh ran a fingertip under his stiff collar as the image of Lazy N cows, dropping by the thousand, reminded him why he’d come to San Antonio: Selling uncontaminated acres was the only way to protect those that remained…until the family got the anthrax under control…. He did his best not to glare at the decorous Bostonian sitting beside him. Wasn’t the Swede’s fault, after all, that anthrax had killed so many Neville cattle. In his shoes, Josh would have snapped up the land just as quickly. Trouble was, now this fancy pants Easterner would move to Eagle Pass with his never-been-out-of-the-city wife and kids and an arm’s length list of questions about Texas weather, irrigation, when to plant, and only the good Lord knew what-all. If that didn’t earn Josh a seat closer to the Throne, he didn’t know what would. Few things agitated him more than sitting in one spot. Especially indoors. How these fancy gents managed to look so calm and cool only added to his restlessness. He hung his Stetson on his left knee, mostly to have something to do with his hands. Now, as the banker explained the terms of the agreement, Josh stared hard at the blood-red Persian rug under his boots and searched his mind for something to else to focus on… anything other than the wretched document that would transfer ownership of Neville land to this… foreigner. Moving the hat to his right knee, he remembered the day he’d bought it, and how he’d bought another just like it a year later, when Lazy N business put him in back in Garland. One for riding the range, one for his wedding. Strange, he thought, how Sadie could appear in his mind’s eye from out of nowhere, even after two long years without her…. He forced her from his mind. This get-together was more than painful enough without dwelling on the most agonizing period of his life. Josh exhaled a harsh sigh. Hopefully, the banker and the Swede hadn’t heard the tremor in it. He blamed the pounding heat for his agitation. His empty stomach. The ten-day ride from Eagle Pass that left him so bone-tired he couldn’t sleep, even on the hotel’s pillow-soft mattress. A body would think that an establishment with Persian rugs and velvet curtains could afford to provide water for businessmen, he thought, loosening his string tie as Griffen asked yet another inane question. Father, give me the strength to keep from grabbing those papers and hot-footing it out of here without making the deal! Sadly, his woolgathering did little to distract him from the grim truth. He’d been the one dissenting vote at the family meeting where the loathsome decision to sell turned downright odious when, as the only Neville with a law degree, overseeing the transaction fell to him. Josh groaned inwardly. What a sorry state of affairs, he thought, leaning forward to hide the tears that burned in his eyes. He loved every blessed acre—especially those acres—that made up The Lazy N. He’d built a small but solid home for Sadie and himself on that section of the ranch. Letting it go hurt almost as much as burying Sadie. Griffen, God bless him, had been the one to suggest that Josh hold on to the precious acre where she and his newborn twins lay. “In your shoes,” he’d said, pale eyes darkening a shade when Josh asked permission to visit their graves, “I’d be a basket case. We’ll build a fence around the land,” he’d added, “to make sure your little family is never disturbed.” But Josh knew, even as he’d nodded his agreement, that crossing Griffen property to reach his family would only heap one misery atop another. Elbows balanced on his knees, Josh grabbed his Stetson and spun it round and round as on the other side the window, three men and a woman dismounted sweaty horses. They looked as tense and restless as he felt, and he wondered what ugly family business had brought them to the bank today. “If you’ll just sign here, Mr. Neville…,” Schaeffer said, redirecting Josh’s attention. He accepted the banker’s fountain pen. As its freshly-inked nib hovered over the document, a bead of sweat trickled down his spine, and in that moment, he felt a disturbing kinship with the fat hen his mama roasted for last Sunday’s dinner. On the other side of the banker’s office door, shuffling footsteps and coarse whispers interrupted his thoughts. Inspired a stern frown on Schaeffer’s heat-reddened face, too. “I declare,” he said through clenched teeth, “I can’t take my eyes off that fool assistant of mine for fifteen minutes without some sort of mayhem erupting.” And blotting his forehead with a starched white hanky, he continued grumbling. “Looks like I’ll have no choice but to replace him.” Shoving the eyeglasses higher, he lifted his chin and one bushy gray eyebrow…a not-so-subtle cue that Josh still hadn’t signed the paper. So gritting his teeth, he inhaled a sharp breath, scratched his name on the thin black line, and traded the pen for the bank note. Unable to make himself say ‘likewise’, Josh forced a stiff smile and pocketed the check. “You bet.” God willing, perhaps the worst was behind the family now. … swung right as gunshots rang out in the lobby. Schaeffer and Griffen ran for the door, but a flurry of activity drew Josh’s attention back to the window. It was the foursome he’d seen earlier, now scrambling onto their saddles. A lumpy burlap sack rested on the meaty rump of the biggest man’s mount, and sunlight glinted from his pistol. Now he knew why the bunch had looked so nervous. They’d robbed the bank! He withdrew his sidearm, pulled back the hammer with one hand and threw open the window with the other, hoping to get off a shot or two before the robber were swallowed up by the cyclone of grit kicked up by their horses’ hooves. Perched on the sill, he took aim at the shoulder of the fattest bandit just as the woman’s pony veered right, putting her square in the center of his gun sight. She looked back as Josh released the pressure on the sweat-slicked trigger. Quick as you please, she faced front again, her cornflower blue skirt flapping like a tattered sail as she was swallowed up by the thick cloud of dust. That really ought to whet the reader's appetite for the story. How can readers find you on the Internet? Thanks again, Lena! Yer a peach! Loree, it's a real joy to spend this time with you. 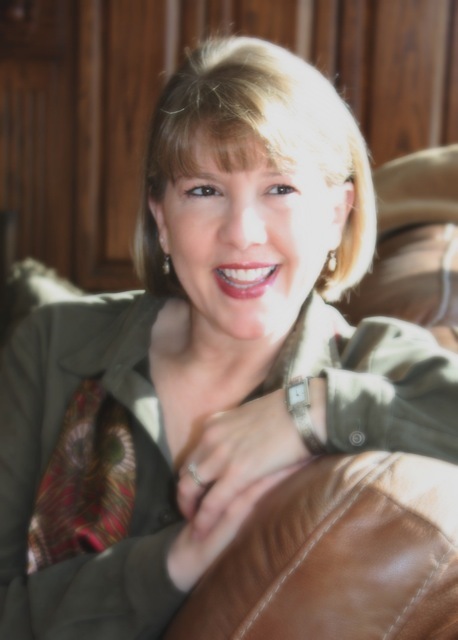 I'm thrilled to have my friend Linda Windsor back on my blog. 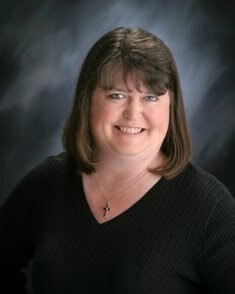 So Linda, what are some of the spiritual themes you like to write about? Fiction is based on conflict and every conflict has a spiritual dilemma or theme involved. Trust and forgiveness are almost always a given. The challenge of following God’s Word or one’s own is another, especially when doing the right thing doesn’t make sense or involves great risk. And one of my favorites is God’s answering prayer, but not in the way it was expected. That said, I am most passionate about telling the early history of the church in my Dark Age historicals Fires of Gleannmara series- Maire, Riona & Deirdre and my new Brides of Alba series- Healer (6/10), Thief and Rebel. These reveal information and examples that will enable Christians to effectively witness to New Age followers today. I call it fishing from the other side of the boat, as Jesus told his disciples to do. When the net of Scripture is ignored by the fish, try the history and tradition that backs it up. This is the approach I was forced to use, and by God’s grace was given, to witness to my daughter after she’d been assaulted in college, blamed and turned against God, and became involved in Wicca (white witchcraft.) It took eight years of pondering, but the seeds had been planted and God and I watered them at every chance with love. I would love to talk the Pope into letting me into the Vatican library, unhindered. But since that is not likely, Dr. David Jeremiah, Grant Jeffreys or anyone well-versed in church history. It would be a long night. Since the early seventies when I read a less than stellar historical romance and thought to myself, “I could do this well…maybe better.” I wrote two 700 plus page historical romances, which, after total re-writing, were published in 1990. In between that first draft and the final one, life happened with said novels sitting in a box in my attic. I trashed them during a move and my late husband saved them, encouraging me to write again. God bless him. I often tell aspiring writers that rejections are like footprints in the sand. If you don’t see them, you’re not moving toward your goal of publication. Rejections are steps toward improvement. Just writing the rejected material puts you ahead of where you were. Often rejection letters contain constructive advice, which can salvage the work or make the next project even better. They are the fire that purifies the craft and the writer. Having had my share and probably someone else’s , I learned to separate the wheat from the chaff and grow from them. I probably could do a workshop on them. In fact, when I’m on the NY Times Bestseller list and am asked to be a keynote speaker, the title of my speech will be I Failed My Way To Success. I’ve already told you about the background and setting, but the series is about three brothers whose lives and faith are changed by their lady loves—a healer, a thief, and a rebel. In HEALER, a dying mother’s prophecy to her murderer—The Gowrys seed shall divide your high and mighty house and bring a peace beyond the ken of your wicked soul--sentences her daughter to twenty years in hiding. A descendant of the British apostolic bloodline and trained as a healer like her mother, how can Brenna fulfill her calling when the enemy O’Byrnes seeks her death and her own clan would have her lead them to certain annihilation against their oppressors? When Brenna rescues an ambushed warrior, her gift heals his wounds, but only her love—and God’s—can heal his tortured soul. But is he the answer to her loneliness or her worst nightmare? Ronan O’Byrne awakens from a near death experience at the mercy of the very witch his tormented father has feared for so many years. But how can this lovely and loving creature be anything but an angel? Perhaps the prophecy didn’t mean the destruction of his clan, but the resurrection of an alliance—a peace beyond understanding. At least the understanding of his father and brothers. A product of twenty years of bitterness and distrust, Ronan wonders if he is bewitched like his father before him or if love, much less God, is real. And who tried to kill him? Although cold enough to frost one's breath, the day was as fair as the general mood of the gathering at the keep of Gleanarden. The only clouds were those breaking away, fat with snow from the shrouded mountains—and the ever-present one upon the face of the bent old man who stood on the rampart of the gate tower. No longer able to ride much distance, Tarlach O’Byrne watched the procession form beyond. Below the ramparts, Ronan O’Byrne adjusted the woolen folds of his brat over his shoulders. Woven by the women with threads of the clan silver, black, and scarlet, it would keep the prince warm on this brisk day. A fine dappled gray snorted in eagerness as Ronan took its reins in hand and started toward the gate. Beyond, the people he would govern upon his father’s death awaited. Clansmen and kin, farmer and craftsman, all turned out for the annual hunt, but they were more excited still over the festivities that awaited their return. Were the pest any other but his youngest brother, Ronan might have scowled, deepening the scar that marked the indent of his cheek--a physical reminder of this travesty that began years ago. Alyn was the pride and joy of Glenarden and Ronan was no exception to those who admired and loved the precocious youth. His somber gaze belayed the lightness in his voice. Too smart to burn it, the thieves made off with the stores and the miller’s quern. Ronan had already sent a replacement hand mill to the mistress. The grain would be harder to replace now that the harvest was over and the excess had been sold. It galled Ronan to buy back his own produce at a higher price than he’d received from merchants in Carmelide. This was the hard lot he faced—this farce or hunting down the scoundrels and taking back what was rightfully his. But every year on the anniversary of the Gowrys slaughter, Tarlach insists the O’Byrne clan search the hills high and low for Llas and Joanna’s heir. Instead of going off on a madman’s goose chase after his imagined enemy, a mountain nymph who could shape-shift into a wolf at will, the O’Byrne’s manpower would best be spent ransacking and burning one of the Gowrys mountain settlements in retribution, for they were undoubtedly the culprits. It was the only reasoning the thieves understood - burn their ramshackle hovels and take some of their meager stock in payment. Witch's End. Disgust pulled at Ronan’s mouth. That's what Tarlach O'Byrne dubbed the celebration of the massacre that had made him an invalid and driven him to the brink of insanity. In the old chief’s demented thought, he’d brought justice to those who betrayed him and stopped an enchantress forever. Sometimes, as on this particular day, it pushed him beyond reason, for it was a reminder that there was one thing left undone. The heiress of Gowrys still lived to threaten Glenarden…at least in his mind. What at tantalizing taste of the book! How can readers find you on the Internet? Thank you, Linda, for this special time with us. Readers, here's a link to the book. By using the link when you order you help support this blog. Amanda Sue is the winner of Laura by Jo-Anne Berthelson. Esther is the winner of It Had to be You by Janice Thompson. Fredamans is the winner of Wildflowers of Terezin by Robert Elmer. Gayle is the winner of Lord, I Want to be Happy by Leslie Vernick. 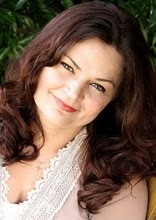 Katrina is the winner of Wildflower Hearts by Vickie McDonough. Click the Contact Me link at the top of the page, and send me an Email. It's always a pleasure to have you drop by, Deb. Tell us, why did you become an author? When I realized that books had author’s (the summer I was 11 or 12 and read all the Little House on the Prairie books) I knew I wanted that job––to make people as happy as those books had made me. I always thought it would be fascinating to be a psychologist, trying to understand people and why they do the things they do. But I think I like that my characters usually (not always!) listen to me and obey, whereas I doubt clients do that for the average therapist. I have a background in drama and was a director many times. That's what directors do, try to understand people and why they do they things they do. If you could have lived at another time in history, what would it be and why? Oh, I’m SO glad I live in this modern era. I would miss electricity and my dishwasher and my computer and my cell phone too much. But if I were forced to choose another time in history, I suppose it would be the late 1800s when my grandparents were settling the farm in Kansas where I grew up. I'm rather fond of the late 1800s, too. That's why I write so many novels set in that time period. What place in the United States have you not visited that you would like to? Hawaii! I’m not a huge fan of the ocean, but I don’t think I’ve ever heard from anyone who didn’t adore Hawaii. I’d also love to visit New England in the fall. My husband and I lived in New York for 2 years early in our marriage, so even though we lived a stone’s throw away, we never could afford to travel from there. Our oldest son moved to Berlin last month, so we are eager to go visit him and tour Europe while there. I have a niece who lives in England, too, and my great grandparents immigrated from York, England, and from Germany, so Europe really holds great appeal for me. That I can be content with much, much less than I thought. My husband was laid off from his job a year ago, and started his own business, which has meant drastic cutbacks in our family budget. I’ve learned that I was a bit spoiled before, and that it truly doesn’t take much in the way of material goods to be happy. Cooking together at home is every bit as romantic as a fancy dinner out; a few blond highlights twice a year give the same “lift” as a full weave four times a year, and the clothes I’ve bought over the last five-ten years serve every purpose that something new every month served. God has taught us that He is more than able to meet every single need, and surprise us with a few luxury blessings, too. He likes to do that. Tell us about the featured book. Unearthing a lost memory may cause her to lose everything she holds dear… But could it also set her free? Volunteer Bryn Hennesey was there at the Grove Street Homeless Shelter the night five heroic firefighters died at the scene. Among them was her husband, Adam. Now a terrifying absence of memory has her wondering if she might, in some way, be responsible. Garrett Edmonds’ wife, Molly, was the only female firefighter to perish in the blaze. He was supposed to protect the woman he loved…now she’s the one who’s died a hero. How can he go on in the face of such unbearable loss? And what started the fire that destroyed the dreams and futures of so many? Investigators are stumped. But someone knows the answer…. Bryn drew the queen of diamonds from the stack of playing cards on the wobbly table between her and Charlie Branson. The grizzled Vietnam vet eyed her from his wheelchair as she discarded an ace. She put on her best poker face and pretended to rearrange her hand. From somewhere behind the peeling paint on the west wall, the pipes clanked in the bowels of the old hospital-turned-homeless-shelter and the furnace kicked on. Not that it would raise the temperature in this mammoth icebox by one degree, but something about the hiss of radiators was comforting. Charlie pulled a card from the tattered deck and flung it away too quickly. He must be close to going out. Good. It was two in the morning, and Bryn was hoping to catch a few hours of sleep before it was time to get breakfast going for the shelter’s residents. Her husband’s twenty-four-hour shift at the fire station ended tomorrow. Adam had said something about taking her to a matinee, and he’d be suspicious if she fell asleep during the movie. Of course, his invitation had come before their big fight. Knowing him, he’d still be brooding and they would stay home and sulk––or argue. http://www.deborahraney.com/ is my author website. Deb, thanks for the visit. Wonderful to have you back, Kaye. What are some of the spiritual themes you like to write about? I don’t consciously set out with a spiritual theme in mind—they seem to develop naturally as my characters do, as part of the conflict that comes from the character’s background and experiences. One that does tend to show up in many of my books is that of forgiveness—mainly because I think that’s something that we all struggle with and can relate with. Madeleine L’Engle once wrote, “Sometimes it is years after a book is published that I discover what some of it meant.” I’ve had people point out spiritual themes in my stories that I never intended or even realized were there. In addition to Ransome’s Crossing, coming out June 1, the first book in my new contemporary romance series The Matchmakers, Love Remains, comes out in August. 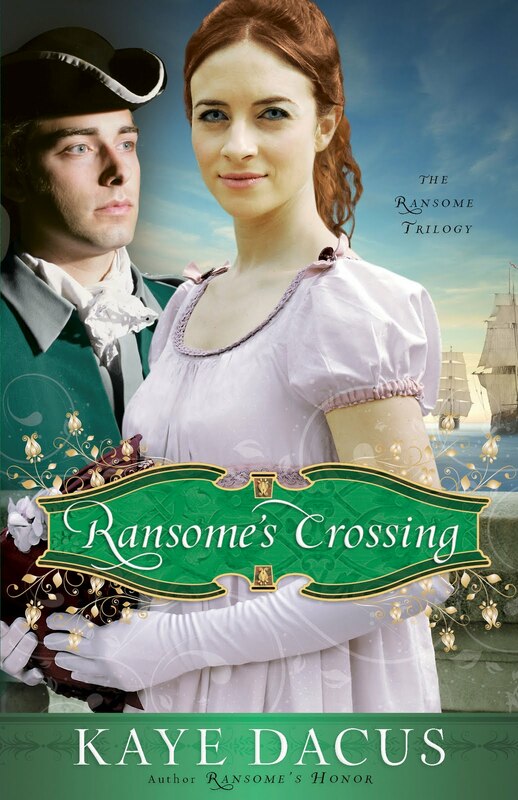 I also have three books set to release in 2011, including Ransome’s Quest, the final book in The Ransome Trilogy. I’d love to sit down with screenwriter/director Joss Whedon. He’s a great storyteller and brilliant at twists and turns as well as humor and world building. I’d love to spend a few hours brainstorming story ideas with him. I would have to go for Louisa May Alcott. Her sense of humor shines through her fiction, but she had a serious side, too, which most people don’t know about because they’ve never read her nonfiction. Having grown up in the enclave of transcendentalists—her father, Emerson, Thoreau, Dickinson, etc.—in mid-nineteenth century New England as well as being someone who obviously had a vivid imagination, I would love to have a few hours to sit down and brainstorm story ideas with her because I know her perspectives would be unique. Maybe it’s time to take a break from submitting and focus on writing something new, on pouring your energies on developing new story ideas, and on telling stories again. We sometimes get so focused on the business of writing that we forget the joy of simply sitting down and writing a story. 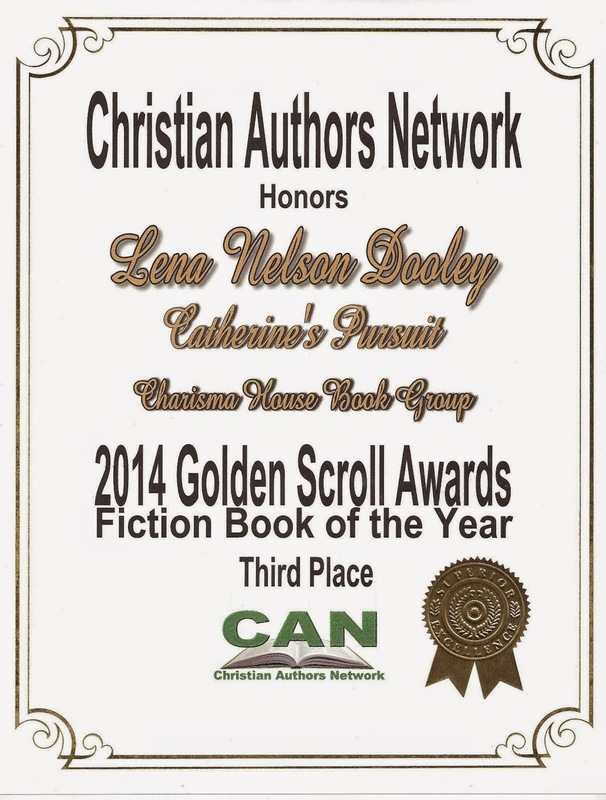 And sometimes, we must reexamine our calling to make sure that trying to get published is what God wants us to do. An attack on the convoy gains Ned the promotion to commander he has long dreaded—especially once he discovers one of his midshipmen is actually Charlotte Ransome in disguise. After seeking Julia’s advice, Ned decides to keep Charlotte’s secret…and hopes to win her love. Charlotte will soon discover that losing her heart to Ned is not the greatest danger she’ll face on this Atlantic crossing. A scream of agony bubbled up in Charlotte’s chest, but she stopped it before it could escape. “The shoulder is reset.” The physician poked and prodded more, sending bolts of pain and waves of nausea through her body. But she managed to hold all at bay—except the two tears that escaped the corners of her eyes and ran down into her hair. “Thank you.” Her brother William’s voice sounded harsh and gruff. But he’d been different since returning from Portsmouth six months ago—he no longer laughed, told stories, or drew pictures of fascinating sea-creatures for her. She kept her undamaged arm over her eyes as the doctor bound her left arm in a sling. Some of the pain was gone. But she couldn’t bring herself to look at her oldest brother. She heard the clink of coins then retreating footsteps. She risked a peek under her arm. William stood beside her bed, arms crossed. “Tell me exactly how you came to fall off a rotted rope ladder ten feet from the ground.” Though soft, his voice carried such a tone of command that Charlotte cringed. An odd expression flickered across her brother’s countenance, and for a moment she hoped he might relent. He never raised his voice, but her ears pounded as if he’d yelled the words at her. She clamped her teeth down on her bottom lip to keep it from trembling. How could he be such a mean . . . ogre? She wanted nothing more than to follow in her father’s and brothers’ footsteps. “Good.” He nodded curtly. “Now, you are to rest until dinner.” He left her room, shutting the door behind him. Charlotte stuck her tongue out at the closed door and lay back down. She’d show them—all of them—that if she wanted to join the navy, no one would stop her. Thank you, Kaye, for visiting with us again. Really excited about featuring this debut author. Welcome, Gina. Tell us how much of yourself you write into your characters. Wow, so very much of myself goes into my characters. Every one of them, even the villains take something from me. When you read an author’s work, that’s going to be true universally I’d think. That’s where the authenticity comes in and the story and characters ring true. When we read someone else’s work, we’re looking at a window into that writer’s soul. Lucky for us writer’s that the reader doesn’t know which parts are pulled from our lives, struggles and personalities. I wrote an article on Novel Journey some time ago titled “Pimp my Soul” that deals with that very subject. If you go to the site and put that in the search bar at the top, it’ll come up. Of course, some characters are going to be more like us than others. In Crossing Oceans, for example, some of my early readers assumed that the main character, Genieve was heavily based off me, but I think if any character was like me, it was the little girl, Isabella. She’s very much like I was as a child. Man, I have done a LOT of quirky things in my life. I’m a pretty quirky person. Moving to the island of Cyprus with no money and a one way ticket was pretty out there. For kicks, me and my teenage friends would drink coffee at Dunkin Donuts wearing our underclothes on the outside of our clothing. We would follow people at random in my old Chevette for sometimes an hour. (I still feel bad about that. We really freaked some folks out! I’ll blame it all on being young and immature.) I’m still a little different. Back in high-school it started to dawn on me that I could write. Everyone else would get a writing assignment and I found it so odd to see them struggle through it. I could whip out an A paper in a couple of minutes. It came easy for me. (It doesn’t come quite as easy these days unfortunately.) It was college though that I really got that I could write. I turned in a short piece on musak and my professor didn’t know I was watching him read it. I remember his eyebrows shooting up, him grinning and shaking his head. I thought, this guy really likes it and he’s someone whose opinion had some weight for me. I’ll never forget that feeling. I grew up on things I would never in a million years let my kids read. V.C. Andrews for one. Stephen King was my man. I still think he’s a fabulous writer. My tastes now have changed considerably thought. I like historicals, classics, literary, mainstream and some suspense. I adore Frank Peretti, Francine Rivers, Lisa Samson, Claudia Burney and think Charles Martin is a genius. My first four novels were suspense—ranging from a woman who falls prey to a Wiccan priestess, to a sleuth nurse. I plan to stay in the mainstream genre now. Now that I believe I’m writing what I was created to, I no longer feel like a salmon swimming upstream. What I’m writing now is a much better fit for my strengths. I don’t. I think I’m a little crazy, but hey, I’m functional. My kids keep me busy, my nursing career, publicity, writing, being a wife to the world’s most amazing man and all that goes with all of that. I’ve got a great sense of humor and as long as I keep that, it ought to keep the straight jacket at bay. That’s the theory at any rate. I go through baby books, now online baby name websites and just look through them, try them out on my tongue and in the story until one feels right. My main character from Crossing Oceans name is Genevieve and I had a friend many years ago with that name and always loved it. Hands down how my two boys are turning out. God has mercifully covered my shortcomings as a parent. Jacob (13) and Levi (8) are the most loving, charming, intelligent, funny and happy children you could imagine. I don’t take full credit of course but I can’t help feeling like I’ve done something in this world right when I look at them. Hand’s down—a bird. They’re so amazing—delicate, beautiful, resourceful and free. I love me some cheese! Oh and a romaine salad with crumbled bleu cheese and balsamic vinaigrette rates pretty high too. Being too sparse with my descriptions. I have a critique partner, Jessica Dotta, who is unbelievably talented in that area and editing her and being edited by her and the others in my group eventually wore me down and made the light bulb come on. Plus, whenever I read, I stop at good descriptions and reread them several times. It was bound to sink in eventually. One of the greatest compliments I can get involve ones on the descriptions I’ve used, because I guess, it doesn’t come naturally. I really work at that. Relax. It’s not going to happen in a day or even for a few years. Calm down, go to writer’s conferences, make friends, join critique groups, read how-to writing books, and above all be teachable. Crossing Oceans is the story of a young woman who must return home to face the ghosts of her past and tell the man she left behind that he’s about to inherit a daughter he didn’t know existed. It’s a beautiful storyline and I’m very proud of it. I hope that it will make everyone who reads it look within themselves and question what they really believe about eternity, death and start to really consider the legacy they’ll leave behind for their children and children’s children to inherit. 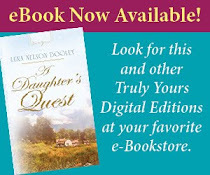 If you like Nicholas Sparks, Karen Kingsbury or Charles Martin, I think you’d like this one. 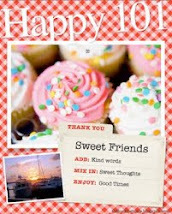 Think Terms of Endearment, Suzanne’s Diary for Nicholas, or Hope Floats. It’s along those lines. Nothing deepens a stream like a good rain … or makes it harder to cross. Just a few hundred feet away from the home I’d sworn never to return to, I sat on the smooth surface of a boulder. With my jeans cuffed and toes wiggling in the cold water, I considered how recent rains had caused these banks to widen and swell. Perhaps a decent relationship with my father might also rise as a result of the storm we’d endured. Much could happen in six years. Maybe my absence had, as the adage promised, made his heart grow fonder. Maybe my homecoming would be like that of the prodigal and he’d greet me with eager arms. Together we’d cry for all that had passed between us—and all that should have, but didn’t. She threw a pebble at the water, but it dropped inches from its goal, clinking against slate instead. “You were smiling like this . . .” She bared her teeth in a forced grin. Gently, I pinched her cheek. I smiled at that. I smiled at just about everything she said and did. Cowpa was her name for grandparents of either gender. I probably should have corrected her long ago, but I found the odd term endearing. Besides, I reasoned, she’d grow out of baby talk all too soon, without any help from me. I found myself wondering what other lessons she would learn in my absence. The thought overwhelmed me, but I refused to cry in front of my daughter. Unloading my heavy burden onto her delicate shoulders was not an option. I might not be able to control much in my life lately, but I could still protect her. Nothing mattered more. http://www.ginaholmes.com/ http://www.noveljourney.blogspot.com/ and I’m also on twitter as: Ginawrites, facebook under: Gina Holmes Waters (Waters is my married name) and shoutlife. Thanks for having me, Lena. Really great questions. And thank you, Gina, for the fun interview. So excited about your debut novel, Karen. Tell us how much of yourself you write into your characters. I write quite a bit of myself into my characters. And for some reason that tends to come out in their flaws. Hmm…what does that say about me, I wonder? However, the reverse is also true. I see my characters influencing me as well. For example, my heroine, Hannah, is addicted to her morning cup of breakfast cocoa. While I wrote A Tailor-Made Bride, I found myself drinking more hot chocolate than ever before. Yum! I'm not one of those authors who always knew they were a writer. Although in the third grade, I did write and illustrate a stunningly magnificent book entitled The Great Ball of Purple about an astronaut who discovered a purple planet full of purple people, inspired by none other than the classic song, Purple People Eater. No, for me, I always knew I was a reader. My mom used to have to force me out of hiding to socialize when we had guests because I preferred sitting in my room with my stack of library books for company. I would daydream romantic storylines, and when I grew into an adult, I started jotting those ideas down in a journal. Maybe someday I would give writing a try. Then in 2003, my husband discovered he was losing his job. I had three pre-school children at home. Perhaps now was that someday I'd been waiting for. Six months later, both my husband and I had new full-time jobs, but by this time the writing bug had bitten hard. I haven't been able to shake it since. I am an historical romance reader through-and-through. It is all I read and all I write, truly my passion. I love the 19th century American west, but I also enjoy regency stories, and medieval settings. Rugged cowboys, dashing lords, fierce warriors—what's not to love? A Tailor-Made Bride is my third completed novel and my first published book to be released. My second completed novel, now titled Head in the Clouds, will be released in October. I seem to be going backwards, don't I? It is ironic how things sometimes work out. In 2007, I submitted my first completed novel to Bethany House, a manuscript entitled Fire By Night. They liked the writing and asked for the full manuscript but ended up not offering me a contract because they felt the plot was not original enough to launch a new author. 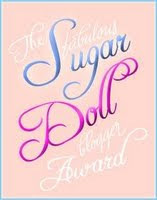 However, Charlene Patterson (now my editor) said there was one element she really liked—the dress shop. Could I come up with a new story centering around this dress shop? Now you've got to understand, in the original manuscript, the dress shop burned to the ground in the prologue. How crazy is that? Build an entire story around a dress shop that didn't even survive five pages in the original? But I had a nibble from an editor, and I wasn't about to let it go. So I put together a new synopsis from scratch, and that story became A Tailor-Made Bride. So I've come full circle. In addition to that, my family keeps me grounded. They have a way of clarifying my priorities. They don't care if I publish a book or not; they simply love me for who I am. No publishing contract can validate me more than that. I like biblical names, but I am also careful to select names that are consistent with the novel's time period. The name has to resonate with me personally and fit the character as I picture him or her. I had so much fun choosing the name Jericho for my hero. It is a strong, masculine name, but beyond that it has great biblical symbolism that fits his character. Because of painful experiences in his past, he has built walls around his heart. And just like the city that Joshua conquered, Jericho's walls eventually come tumbling down when the right woman lays siege. Naturally, I am extremely proud of publishing my debut novel, but deep down, I am most proud of being wife to Wes and mother to the three best kids anyone could ask for. This question makes me laugh. In grade school one of my close friends and I decided we would choose unique animals for our favorites. Most of the other girls chose horses or kittens or puppy dogs. We wanted no part in that. She selected the armadillo, and I latched onto the stately hippopotamus. I even traveled to Africa on a mission trip once and started a collection of carved hippo figurines. However, as a woman who will admit to being a tad self-conscious about her appearance, I can't quite manage to answer that I see myself as a hippopotamus. That doesn't paint a terribly flattering picture, does it? So instead of a hippo, I'm going to say that I am a kangaroo. With three young children who love to have Mama carry them around (even though they're getting much too big for that), many times I feel like I have my own pouch. Or should. And since motherhood fills such a large part of my identity, I wanted to select an animal that emphasized that nurturing aspect. In the Hundred Acre Wood, I would definitely be Kanga. Blue Bell Chocolate Chip Ice Cream. Those of you who are from the south will understand the importance of the Blue Bell brand. I grew up in California and had never heard of Blue Bell until I came to Abilene, Texas, for college. Oh, the sweetness I'd been missing. Except for my husband, Blue Bell ice cream is my favorite Texas discovery. I discovered a new Blue Bell flavor last year--Chocolate Covered Cherry. Yum. What is the problem with writing that was your greatest roadblock, and how did you overcome it? Plotting. Definitely. I have never considered myself a creative person. I enjoy creative expression (I sing, cross stitch, play the flute), but every artistic outlet I've found success with in the past had specific instructions to follow. Music has notes. Cross stitch has a pattern. The first time I changed the color palette on a cross-stitch design, I thought the stress was going to send me to bed for a week! So when it came to creating an original plot, I feared I would never be able to do it. That's where prayer comes in. I pray over my writing every day. I ask the Lord to guide me and inspire me with entertaining and spiritually-moving stories that will touch hearts for his Kingdom. I even pray in the middle of a paragraph if I cannot find the right word. It is amazing to me how often the needed word will pop into my mind minutes later. I give the Lord full credit for the creativity in my stories, for I know it sure didn't originate with me. You must be committed to mastering the craft, tenacious in submitting your work, flexible enough to move when the industry moves, and grounded enough in who you are as a person and as a child of God not to lose heart when rejection comes. Accept the lessons of humility you learn now, for you will need them later when you find success. A Tailor-Made Bride is set in 1880s Texas. Sparks fly when a dressmaker who values beauty tangles with a liveryman who condemns vanity. Jericho "J.T." Tucker wants nothing to do with Coventry, Texas's new dressmaker. He's all too familiar with her kind--shallow women more devoted to fashion than true beauty. Yet, except for her well-tailored clothing, this seamstress is not at all what he expected. "Red? Have you no shame, Auntie Vic? You can't be buried in a scarlet gown." Hannah Richards bit back a laugh as Victoria Ashmont effectively put her nephew's wife in her place with three little words. Trying hard to appear as if she weren't listening to her client's conversation, Hannah pulled the last pin from between her lips and slid it into the hem of the controversial fabric. "Must you flout convention to the very end?" Nan's whine heightened to a near screech as she stomped toward the door. A delicate sniff followed by a tiny hiccup foreshadowed the coming of tears. "Sherman and I will be the ones to pay the price. You'll make us a laughingstock among our friends. But then, you've never cared for anyone except yourself, have you?" "You may have my nephew wrapped around your little finger, but don't think you can manipulate me with your theatrics." Like an angry goddess from the Greek myths, Victoria Ashmont held her chin at a regal angle and pointed her aged hand toward the woman who dared challenge her. Hannah was surprised a lightning bolt didn't shoot from her finger to disintegrate Nan where she stood. 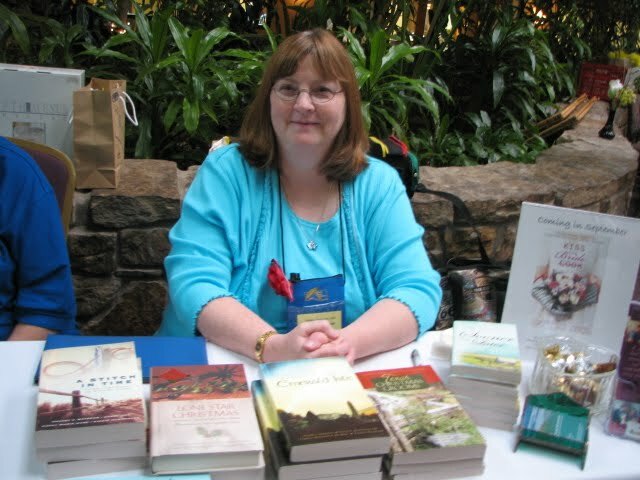 I would love to have readers visit my Web site at: http://karenwitemeyer.com/ . You can find fun information about the hobbies and interests of the characters featured in A Tailor-Made Bride as well free giveaways like bookmarks and a download for a biblical fiction piece inspired by the life of Rahab. You can also find me on Facebook. Come by and visit any time. I'd love to hear from you! Thank you, Karen, for this glimpse into your life. So glad to have you back with book three of this series, Mary. Why did you become an author? I’m not proud of this, Lena, but I’m pretty sure it was so I could say I was too busy to dust and vacuum. Sounds like a good reason to me. If you weren’t an author, what would be your dream job? When I was a kid, I always wanted to build roads. I was just on a new interstate on-ramp in Omaha, Nebraska, the other day and it’s really amazing, the swooping, the merging, moving all that traffic smoothing (well, except for rush hour. . .and wrecks. . .and getting lost. . .but otherwise smoothly). I think I was influenced at an impressionable age by seeing my first overpass. I just remember comparing it to the Appian Way in Rome (what year do kids study that in school—and YES it was history, even back when I was in school—shut up) and thinking, “This will last forever. I’d love to be part of building something that lasted forever.” And now, when I think of that, and think of my books, well, you know, they’ll last forever. Maybe it’s part of the Christian heart to believe in and long for eternal things. Oh, I’d definitely live NOW, unless you forced me. I’m just not kidding myself about how much I love air conditioning and a nice, tidy furnace in the winter. It was a hard business surviving pre-penicillin, pre-electricity. I’ve got a good sized bucket list. I’d like to see where the Columbia River flows out into the Pacific. I’d love to see the leaves turn in New England and see all those historical buildings in Massachusetts. I’ve never been to Washington D.C. I’m not so much drawn to big cities though, but I’d make an exception for D.C. and maybe Philadelphia. I’d like to float down the Mississippi on a paddle wheel boat (with air conditioning of course). I’d like to stay one night at the Del Coronado Hotel in San Diego. I’ve heard it’s stunning and the beaches are fantastic. I’d love to spend time in the Rocky Mountains, I’ve done it enough to know I want more. And I’d love to see Alaska, I wish I could see the Northern Lights. My husband spent fifteen months in Alaska before we met, and he doesn't remember seeing them. How about a foreign country you hope to visit? I’m not so drawn to foreign countries, what interests me is ancient things. To that end, I’d like to see old, moldering castles in England and the Coliseum in Rome. I’d like to see pyramids in Egypt and those pyramids in Mexico, too. Machu Picchu, is that what it’s called? Yeah, in Peru. I have friends who have been there. What lesson has the Lord taught you recently? I need to relax and let my mind go to what has touched me about the Lord lately. I think what I’m realizing more and more as I grow is that God is interested in our souls. I see people suffer and die. I see bad things happen to good people, and I don’t understand how God can stay back and let things happen. But when I remember that God’s focus is our souls, we see everything differently. When I’m reading the Bible, I try and remember that Jesus was all about bringing souls to the Lord. If he healed someone, there was a purpose behind it greater than making someone well. He was establishing Himself as One who had the authority to forgive sins. Or He was drawing people to Him so they’d heard what He had to say. I just don’t think God is focused on us physically and if you read the Bible with that in mind, it very often gives you a whole different impression of what Jesus means. A white woman, raised by the Indians has yet to meet a white man she doesn't pull her knife on. . .including Wade Sawyer, who is determined to marry her. She doesn't really need saving, but Wade doesn't let that stop him. And she hasn't actually cut him yet so he thinks she'd coming around. Wade's been trying to rescue women who are doing fine on their own since Cassie Dawson didn't need saving in Montana Rose. Now he's picked the toughest woman he's ever met to protect. Glowing Sun might end up marrying him out of pure respect for his persistence. . .she can’t get rid of him anyway. And while Glowing Sun is trying to adjust to a different world, Cassie Dawson is taking lessons on how to be tough from Belle Tanner. Psalm 27:1a - The LORD is my light and my salvation— whom shall I fear? Gunfire jerked Wade Sawyer awake. His feet hit the floor before he made a conscious decision to move. Grabbing his rifle mounted over the door, he rammed his back to the wall, jacked a shell into the chamber and listened. Another shot fired, then another. The volley went on and on. Many guns blazing. Even as he figured that out, he realized the gunfire wasn’t close. Wade yanked the shack’s door open. In the heavy woods and the dim light of approaching dawn, there wasn’t much to see, but he knew the ruckus wasn’t aimed at him. It had another target and from the direction of the sound he knew what. . .or rather who. Glowing Sun. And her village. Already dressed because he slept in his clothes, he yanked his boots on. Snagging his heavily lined buckskin coat off the peg on the wall, he dashed toward his horse, yanking the jacket on while he ran. Living in a meadow Wade had penned off, his chestnut gelding had his head up, alerted by the shooting, staring toward the noise. Wade lassoed the horse and had leather slapped onto the animal within two minutes. 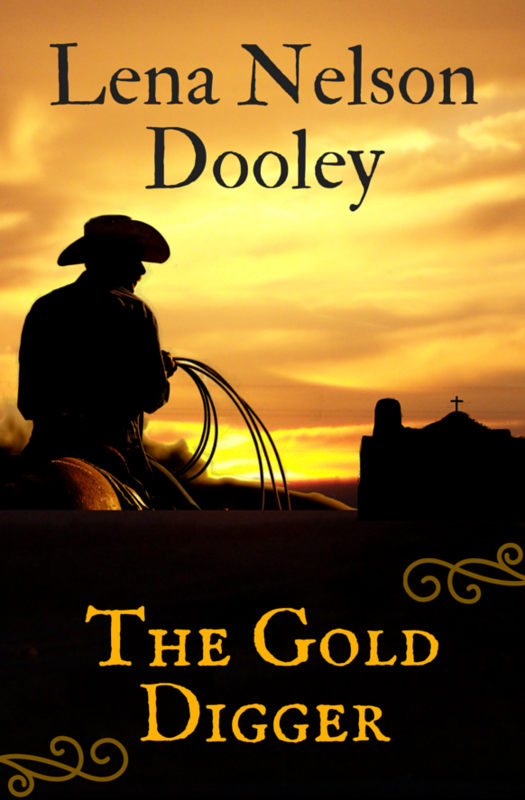 Wade swung up and slid his rifle into the boot of the saddle. Letting loose a yell that’d make a rebel soldier proud, Wade kicked his horse and charged toward death. The shots kept ringing, echoing from the Flathead village high on the mountain top. His horse was game and terror goaded Wade to risk the treacherous trails at break neck pace. But it was too far. Racing up a deer trail, he knew, no matter how fast he rode and how much he risked, he’d be too late. He was already too late when the shooting started. The hail of bullets ended. Wade galloped on. The weapons falling silence only made Wade more sure that whatever damage was being done, was over. In the gray of dawn, that silence ate at him, only interrupted by his horse’s thundering hoof beats. He reached the base of the rise surrounding the Flathead village and he tore up the mountainside. A horse sky-lined itself, a masked rider atop it. A struggling woman thrown over his lap, screamed, clawing, kicking. A blonde woman, dressed in Indian garb, her hair catching the rising sun. Screaming as only Glowing Sun could scream. She was still alive. Wade felt a wash of relief mixed with rage and terror as he goaded his horse forward. He could rescue her. Save her. He was in time. Wade closed the distance, his horse blowing hard as it galloped up the rugged hillside, hoofs thundering. Still a long upward quarter of a mile away, Wade wasn’t close enough yet to open fire. Afraid he’d hit Glowing Sun, Wade drew his rifle and carefully fired over the man’s head. At the instant he pulled the trigger, three masked riders topped the hill, riding at full speed. Wade’s bullet slammed the first one backward. The man shouted. His horse reared. A splash of bright red bloomed on the man’s shirt. Grabbing at the saddle horn, the outlaw showed great skill by keeping his seat. But he lost control of his mount and plowed into the horse bearing Glowing Sun and her abductor. Shocked and sickened to have shot a man, Wade grimly raced on toward Glowing Sun. The masked man just behind the one Wade had wounded swung his gun at Wade in a way that struck Wade as awkward or somehow wrong. The shooter hesitated, then without firing a shot, abandoned the fight, whirled and race his horse back the way he’s come. The third man, skinny, but beyond that unrecognizable behind his kerchief, turned to face Wade’s gunfire. The instant he saw Wade he turned coyote like the other outlaw and ran, leaving his wounded friend and the man who had Glowing Sun behind. Glowing Sun gave an impossible twist of her body and an ear splitting shriek. She kicked herself over backward, landing a bare foot in the man’s face. He must have yanked on the reins because the horse reared, neighing and fighting the bit, skidding and spinning. As the horse threatened to go over backward, the man threw himself to the ground. Glowing Sun went with him, screaming but not with fear or pain. It sounded like fury, killing mean rage. And it sounded strong. Wade prayed she hadn’t been hurt. Wade, still galloping full ahead up the long slope, leveled his rifle one-handed and fired again, even higher this time. The man Wade had shot gained control of his horse, wheeled and dashed after the other bandits. The fallen man leapt to his feet, still holding onto Glowing Sun. Then Wade realized the masked man wasn’t holding her, he was fighting her off. Shouting Flathead words Wade didn’t understand, she had one hand jammed into the man’s throat as she slashed with her knife. With the sharp smack of his backhand on Glowing Sun’s face, the man broke her grip. Her blade slashed, catching a flare of light from the first beams of the rising sun, cutting the man across his arm and chest. The outlaw yowled in pain. Staggering back, Glowing Sun screamed an Indian battle cry and dove at him. She caught his kerchief and pulled it down. Then her fingers slipped. She fell and slid down the steep hillside on her back. Wade fired again, his horse thundering forward. He’d be there in seconds. But one bullet, one slash of a blade could rob the world—and Wade—of Glowing Sun’s courage and beauty and indomitable spirit. The outlaw jerked his gun free and shot at Wade. There was no blast. The gun jammed or was empty. Wade thought of the volley of gunfire that had awakened him and suspected the man had emptied his gun already. Fury twisting his face, the man, his mask dangling around his neck, gave Wade one wild look. Wade saw his face plainly. Blood poured over his thick, black beard and down the front of his heavy sheepskin coat. The outlaw snatched up his horse’s reins, threw himself into the saddle and, in two leaping stride, his horse vanished over the rim, following the other outlaws into the Flathead valley. Wade reined hard as he reached Glowing Sun. His horse nearly sat down as it slid to a stop. Wade swung to the ground and raced to Glowing Sun’s side. Blood soaked the front of her dress, coated her hands. She jumped to her feet as he got there. “Where are you hurt?” Frantic, Wade tried to force her onto the ground. She fought to stay on her feet and slashed the knife. He only ducked in time because he knew her so well. I can hardly wait until my book comes. How can readers find you on the Internet? Thank you, Mary, for spending another interesting time with us. 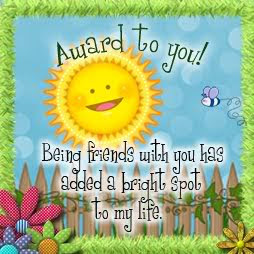 CindyW is the winner of Seeds of Summer by Deborah Vogts. Desiree is the winner of Morning for Dove by Martha Rogers. 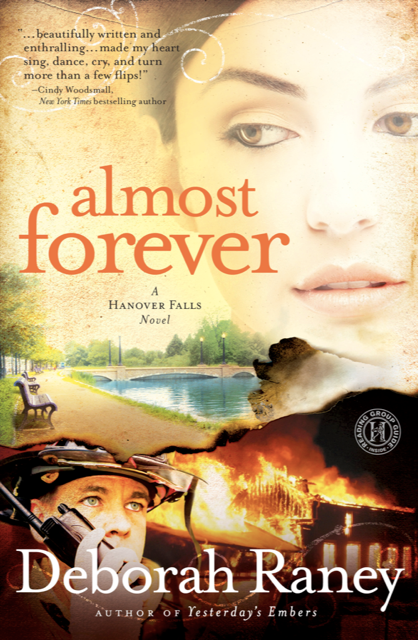 Pat Jeanne Davis is the winner of They Almost Always Come Home by Cynthia Ruchti. Robyn (coolestmommy) is the winner of Missing: Max by Karen Young. Brenda (dancealert) is the winner of Magna by Nicole O'Dell. Edna is the winner of Making Waves by Nicole O'Dell. . . .and my comments disappeared. 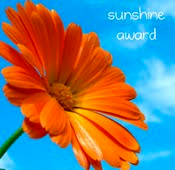 I was going to choose winners for Seeds of Summer by Deborah Vogts, Morning for Dove by Martha Rogers, They Almost Always Come Home by Cynthia Ruchti, Missing Max by Karen Young, and Magma & Making Waves by Nicole O'Dell. You can leave a comment on each of these interviews today, and I'll choose winners after 5 pm Central time. Welcome back, Vickie. 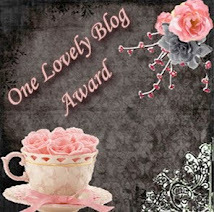 It's always a pleasure to feature you on my blog. What are some of the spiritual themes you like to write about? Forgiveness, God walking beside you during difficult times, keeping faith in God when all seems lost, Trust. The Anonymous Bride released on April 1st. 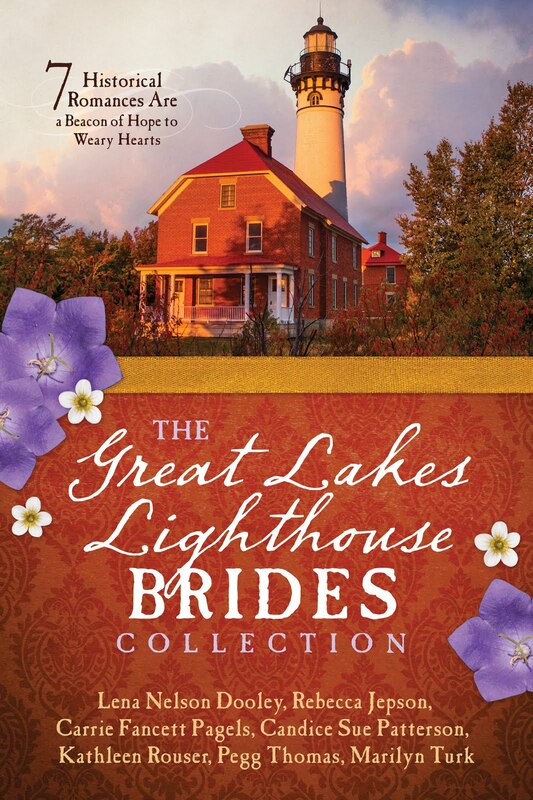 Mail-Order Christmas Brides releases September 1st, and Second Chance Brides releases October 1st. Josh Groban, so I could listen to him sing. I'd like to be with the two of you. What historical person would you like to meet (besides Jesus) and why? I’d like to sit down with my grandma. She was born in 1876. I’d love to listen to her stories of what life was like for her as a young person. I'm sure you'd take notes for historical novels. How can you encourage authors who have been receiving only rejections from publishers? All authors receive rejections. It’s a sign that you are submitting, and that’s a good thing. But, rejections are painful. If you get any feedback in the rejection letter, take it to heart and see if there are areas you can improve your writing. Join a critique group so that you can get feedback on your writing. And keep writing and submitting. You’ll never sell a book if you don’t submit proposals. Wildflower Hearts is a compilation of three novels set in historical North Dakota. These books were originally released to the Heartsong Presents book club. They tell the story of the McFarland siblings who own a ranch in southwest North Dakota. Experience how the west was won in the North Dakota Badlands where the three McFarland siblings face interesting predicaments in romance. Adam challenges the research of a popular dime novelist who surprises him by being a beautiful female. Anna has to try to convince a deputy marshal that she isn’t involved in outlaw activity. Quinn is asked to enter into a marriage ruse to save an innocent woman from jail time. Will the siblings get out of their predicaments on wings of love and faith? This really sounds interesting. Please give us the first page of the book. “Of all the nerve!” Mariah Lansing crumpled the letter in her fist. Mariah’s gaze traveled around the parlor they had recently redecorated in pastels. Her grandmother loved to read, and Mariah had wanted to make her a cozy room for entertaining her closest friends and for relaxing. The soft blue wallpaper, hand painted with a myriad of butter, peach, and rose-colored flowers with sea green leaves brightened up the walls that had once been a faded gold shade. Could she really leave home again and leave the only family she had left, even for a short adventure? Such a journey would enhance her ability to write about the West and make her stories more authentic. But no, she couldn’t—wouldn’t—leave her grandmother. She owed her too much to go running off the first chance she got. Mariah would consider her grandmother’s advice, but not some faceless stranger’s. It had been a woman—her grandmother—who’d come to her rescue when her parents died. Her hero was a woman, so why not in her stories? I can hardly wait to read this collection. How can readers find you on the Internet? WINNERS!!!!! - WINNERS!!!!! - WINNERS!!!! !